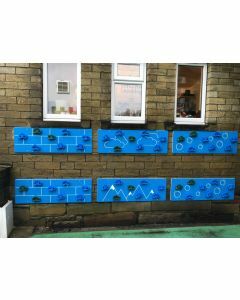 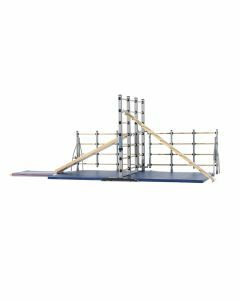 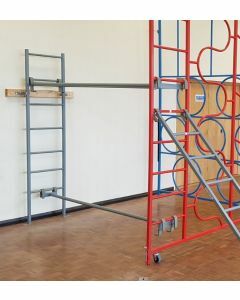 Continental manufacture a range of steel climbing hinged climbing frames, rope frames and overhead rope trackways. 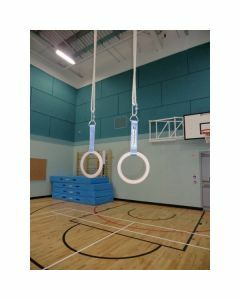 We can help advise and discuss with you the best combination of options to make the most out of your gym or sports hall. 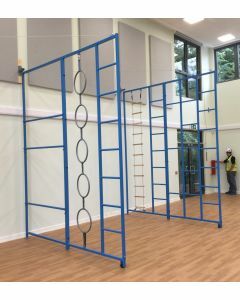 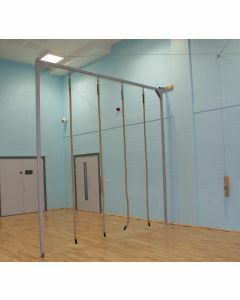 An ideal climbing frame which can be installed in a sports hall - the Schelde Turnstar frame can be hoisted to leave 2m of clear space on the wall below. 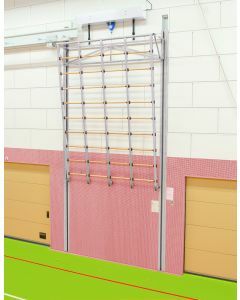 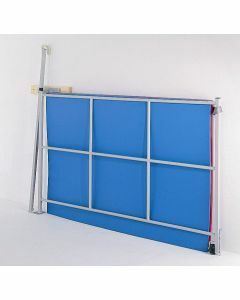 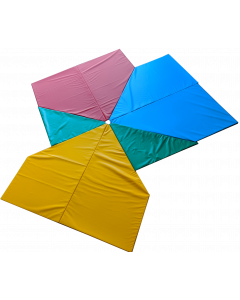 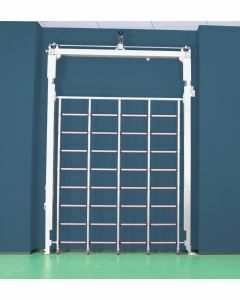 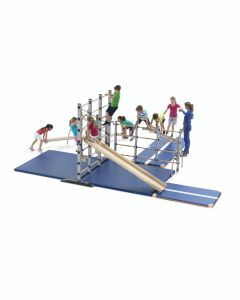 The electrically operated hinged climbing frame from Schelde Sports - The "Turnstar"